Sheffield is a unique and captivating blend of stunning landscapes and industrial vestiges. Nicknamed the Steel City due to its vast steel production heritage, it is also England’s greenest city with over 200 parks, woodlands and gardens. Why not experience this vibrant city with our dynamic iSpy event or test your entrepreneurial skills in The Apprentices? As the national city of sport, Sheffield boasts some of the best sporting facilities in Europe and is also a landmark for entertainment and the arts. Many famous musicians and synthpop bands stem from the city so why not try one of our Music and Dance events to see if you could be the next star of Sheffield? Whatever your team plans in this friendly and welcoming part of England, we can help! Give our sales team a call on 0845 006 06 06 or send us a quick enquiry now. A contemporary 4 star hotel offering unrivalled views of this vibrant city, Mercure Sheffield St Paul's Hotel & Spa is well located for both business and leisure. Featuring 163 guest rooms and ten conference suites, the hotel also boasts a spa, indoor pool and fully equipped gym. 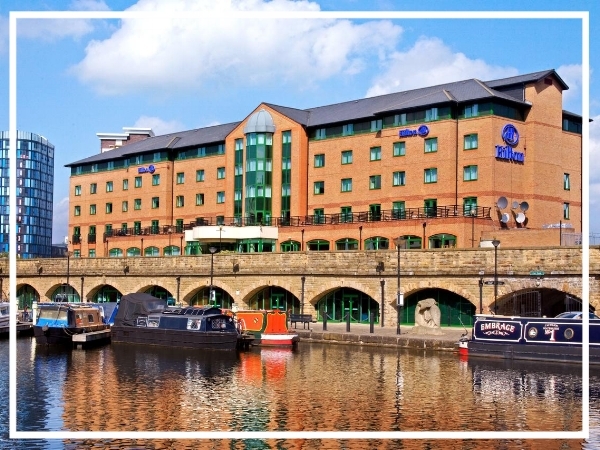 Just minutes from the city centre, Hilton Sheffield Hotel has an enviable quayside location. A great choice for a team build building event in Sheffield, the ground floor meeting rooms and dining area feature original railway arches from 19th Century. Kenwood Hall is a luxury conference venue and hotel situated just one mile from Sheffield city centre. Sitting within 12 acres of beautiful parkland, it has 114 spacious bedrooms and 12 meeting rooms with the largest capable of accommodating up to 250 guests.